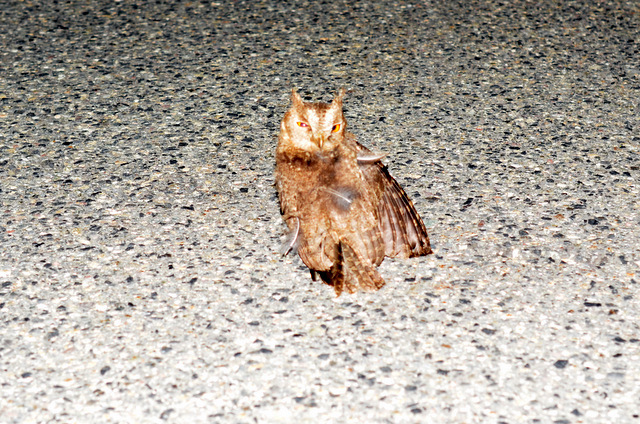 One night suddenly an owl appeared in the center of the road. 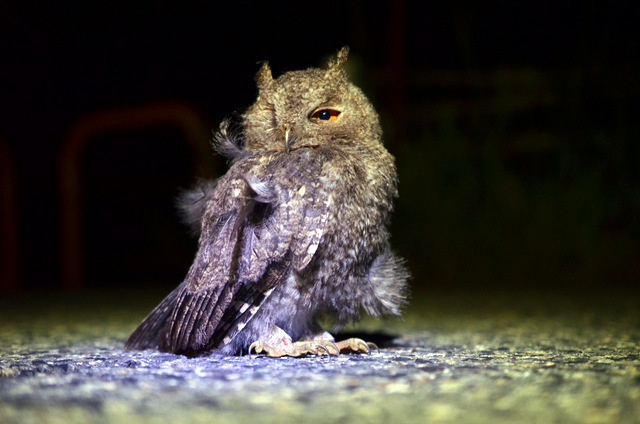 We stopped the car and approached it. We thought leaving it on the road was dangerous. So we carried it carefully onto the grass. We couldn't do anymore for it. 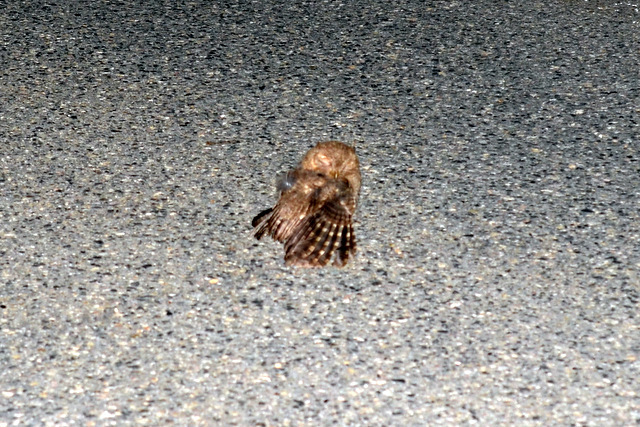 We hope this cute little owl will get better.